Free game download for Windows: Gem Slider – A new improved version of popular puzzle game you like. 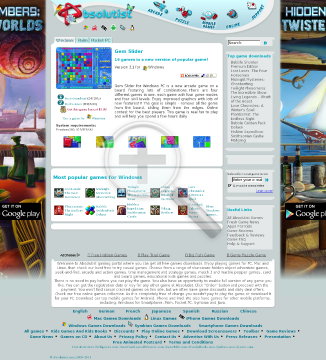 Gem Slider for Windows PC is a new arcade game on a board featuring lots of combinations. There are four different games in one, each game with four game modes and four skill levels. Enjoy improved graphics with lots of new features!!! The goal is simple – remove all the gems from the board, sliding them from the edges. Online contest for the best players. This game is real fun to play and will help you spend a few hours daily.